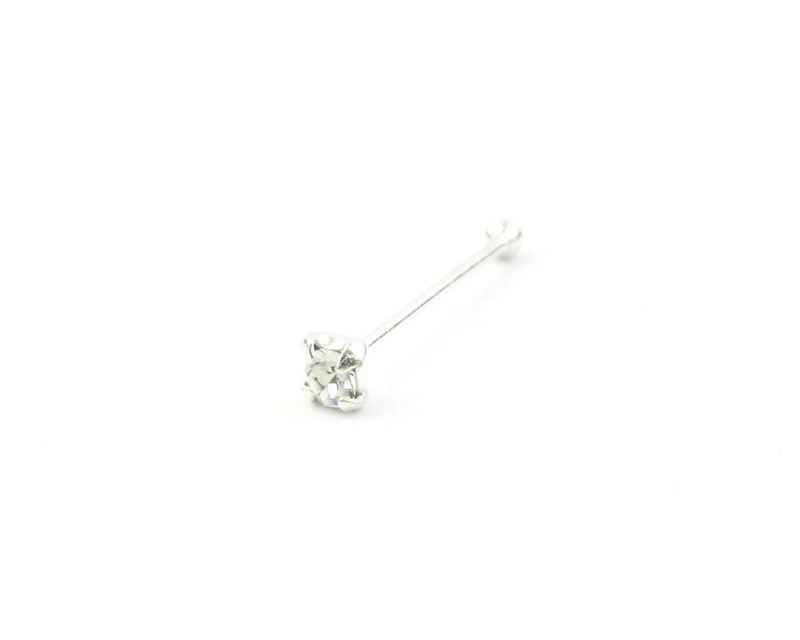 Simple sterling silver nose pin with CZ stone. Delivery time and item were as described. Great vendor.